Want a unique gift for friends or family? Want to pre-purchase a credit for your session? Want a studio credit towards an add-on product to a past order? 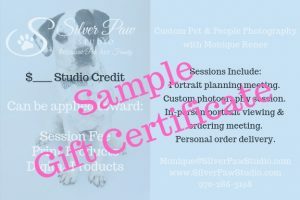 Choose from these 3 gift certificate/studio credit options.